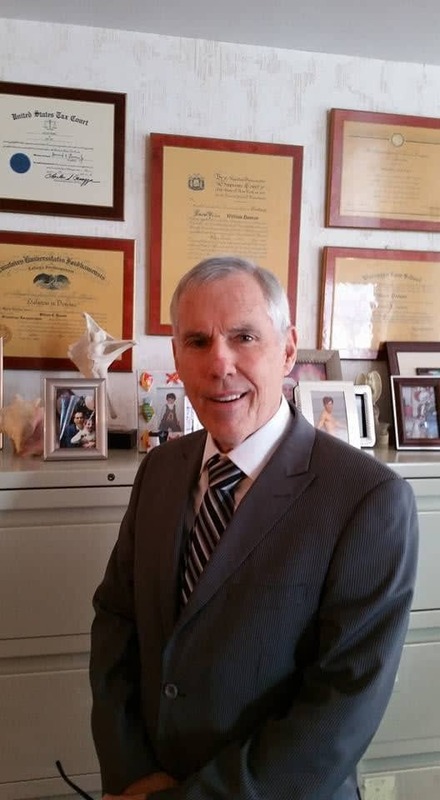 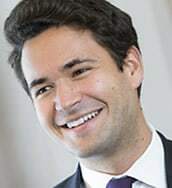 A Barrister. 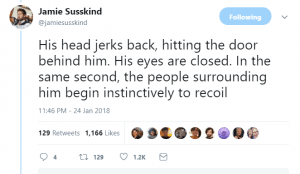 A Crowded Commute. 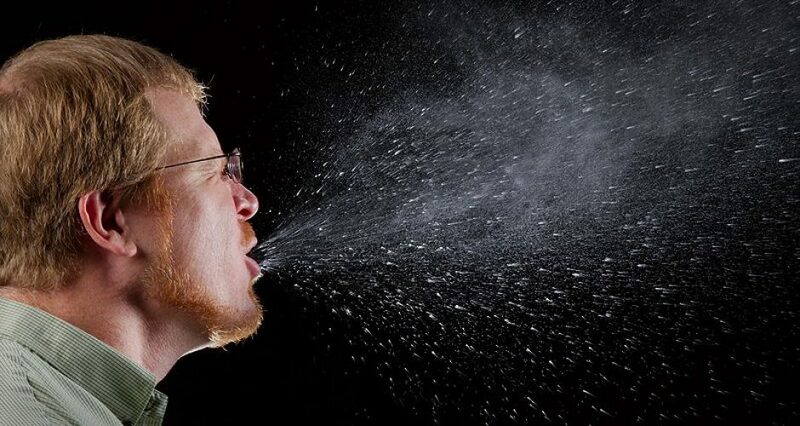 And a Major Sneeze. 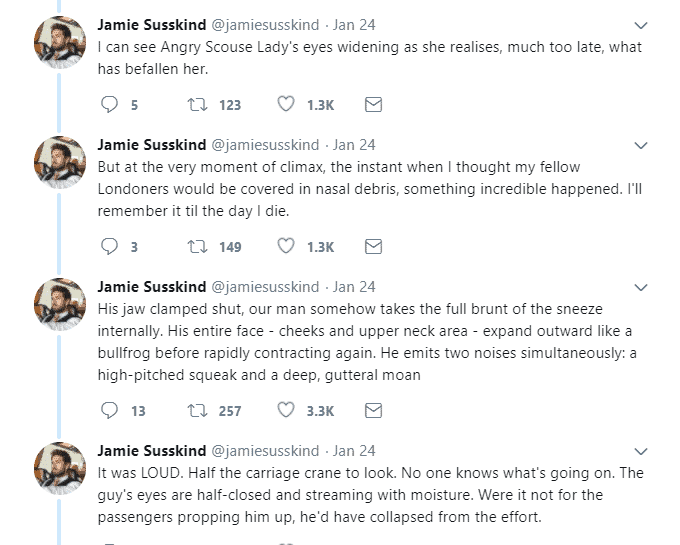 The art of story-telling is a key to bonding with your audience but to achieve that via Twitter is something of a higher art, as barrister Jamie Susskind has demonstrated with a series of tweets that have garnered growing popularity over nothing less than a commuter’s sneeze. You read right. 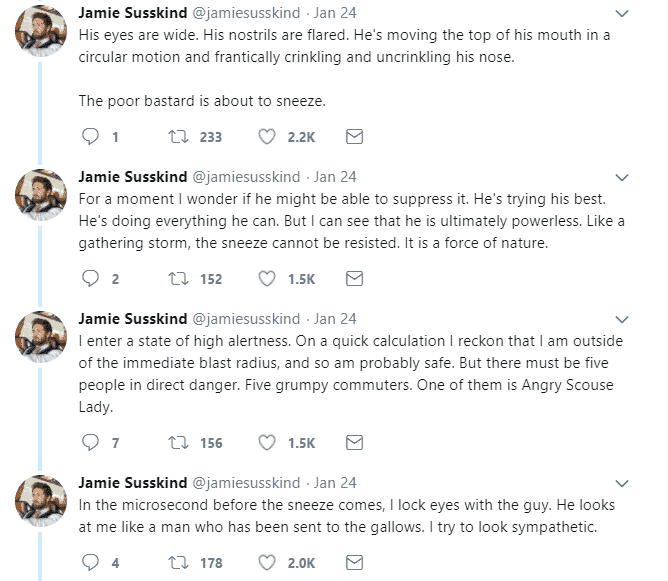 Susskind, son of legal futurologist Richard Susskind, the man who wrote ‘The End of Lawyers?’, was writing about a nightly sneezer on his London commute. 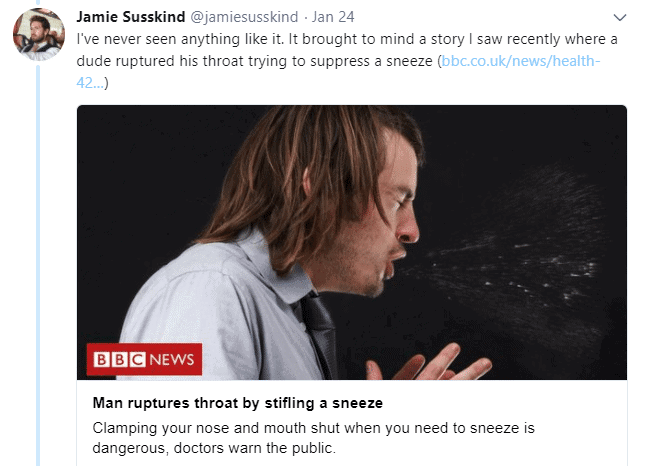 And so it went . . beautifully ‘captured’ by a barrister with the traditional barristorial flare and gusto . . particularly from one practiced in employment and related issues. 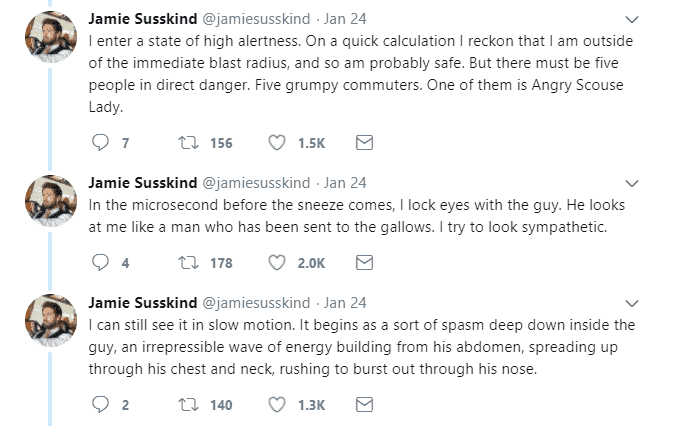 Scoring tens of thousands of likes and a plethora of sneeze-story-related retweets and comments, the Susskind sneeze series is a winner.